This organizational chart demonstrates basic city administration structure, arranged on 4 hierarchical level. On the top of this organizational chart stands the Mayor (or the director of public works) in the city. The second important position in the city administrational structure is the secretary who's reporting to the head of the city. On the 3rd level are positioned the chiefs of the government organizations within the city structure such as the Police chief, Fire chief, Financial chief and Administrator. 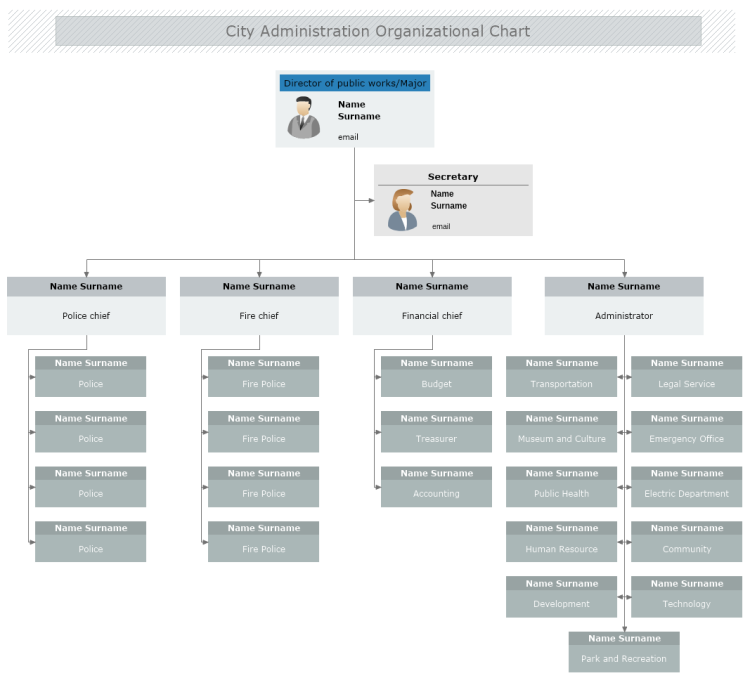 The 4th last level of this organizational chart contains all the rest of the working positions within the city administration structure.